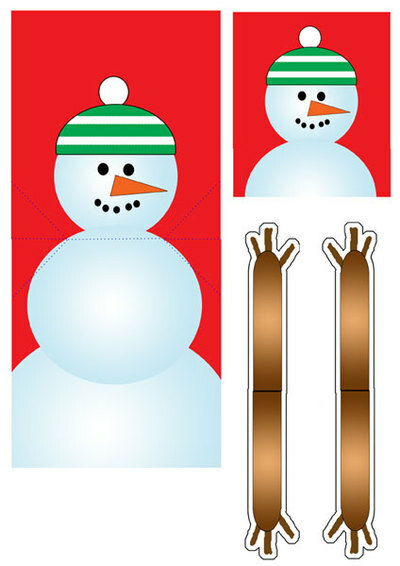 Make this fun pop up variation of a Snowman Card for Christmas. 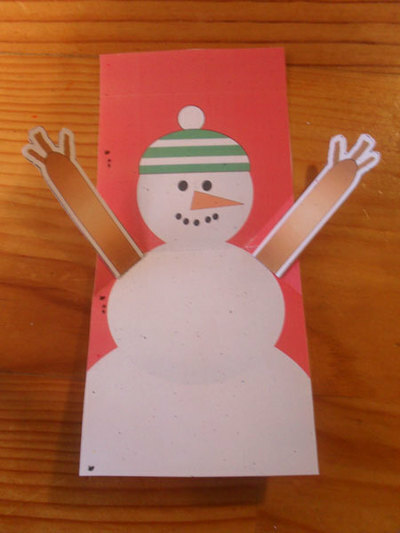 The snowman greets you with open arms. Printouts - use thick paper, like cartridge, although ordinary copy paper will do. 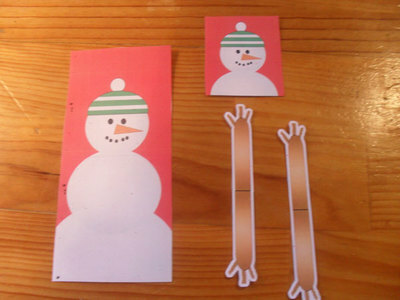 Cut out pieces on printouts. The large piece is the main card. 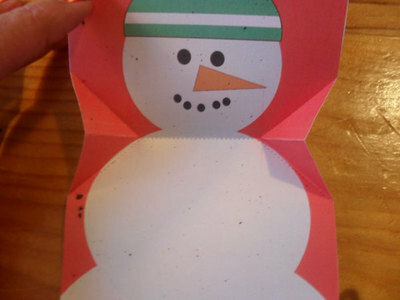 The small graphic is the front of card decoration. The other pieces are arms. Fold the arms in half. Use a dab of glue on the hands to hold arm together. The blue dotted lines are the fold lines. 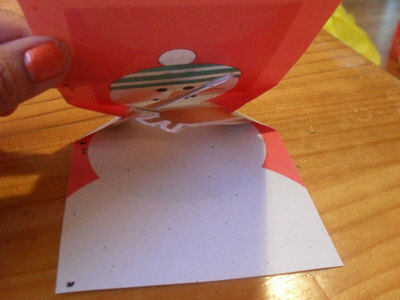 Fold card piece in half. 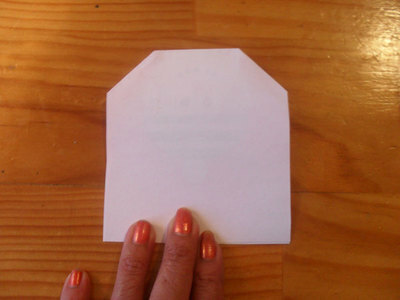 Where the dotted lines meet inside, make an indent in the paper (outside) and fold as indicated in the photo. 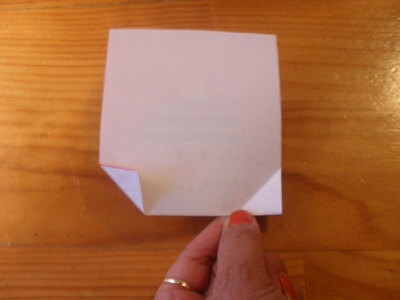 Open out the card and arrange the folds as shown. 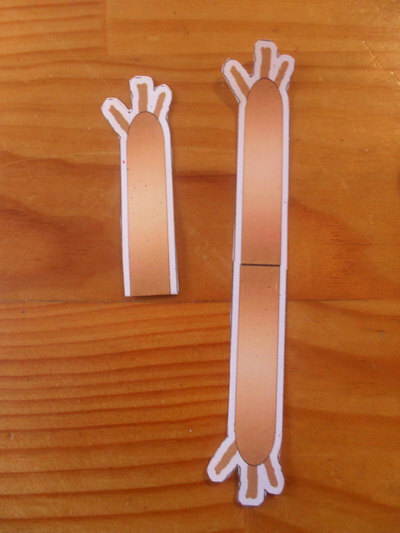 Glue the end of the arms along the fold line as shown. 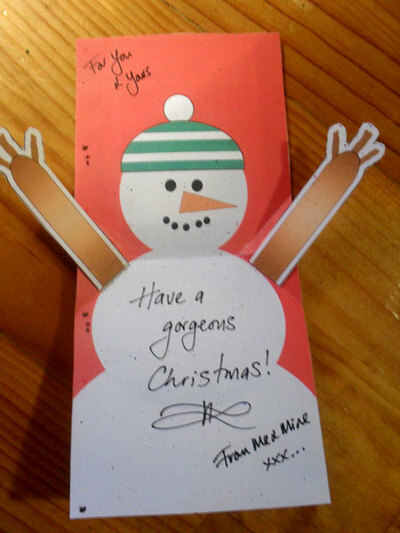 Glue should only be on the triangle on the top lower half of the card, so the card can open and shut properly. The card in action. The arms crossover to fit inside the card when closed. This is how the card looks when closed. 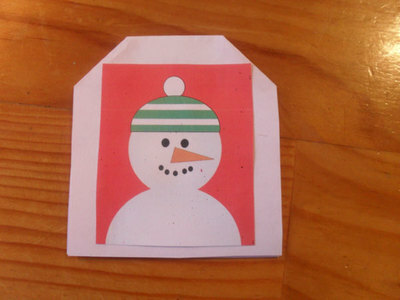 Glue the small image to the front of the card. Add your message and you're done! This was a really fun project to design and make.